I know, I know.. Another blog post about Katie Hopkins. And yes, I know I shouldn't be giving her any more attention but I am sorry I can not sit back and let her talk her absolute nonsense knowing that her words and actions are damaging. 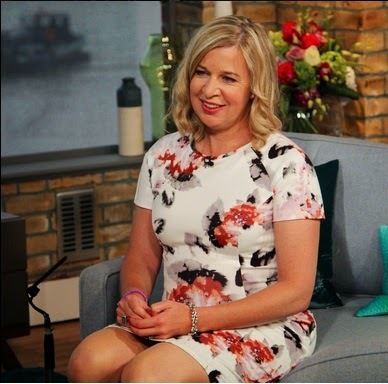 So - Today Katie Hopkins gave her first TV interview on This Morning since gaining just over 3.5 stone for a new TV documentary she is recording. Apparently the idea is that she is going to show how you gain weight and how easy it is to lose it. She wants people to stop making excuses about their weight and lose it just as easy as she is supposedly going to from the 8th September. On the sofa Katie did look bigger, but then when you gain 3.5 stone that is to be expected. However, in my opinion the whole interview was like a one woman pantomime! She was breathless when she talked and held her hip as she sat, like sitting on a sofa was so hard for her now she is fat. (She is in the region of 11 stone now)... I can assure you that as someone who weighs quite a bit more than Katie - sitting on a sofa and having a conversation does not make me breathless. We can see that she looks fatter, she does not need to put on over exaggerated symptoms to show 'how hard' life as a fat person is! In a clip from the TV show, she cried about how much she had eaten in one day (apparently 6500 calories a day) she said "I hate fat people for making me do this", however I can assure that the feeling is quite mutual. Fat people did not make her accept money for making a documentary on fat people, we did not make her eat more than normal and gain weight on purpose nor will we make her need to lose it. 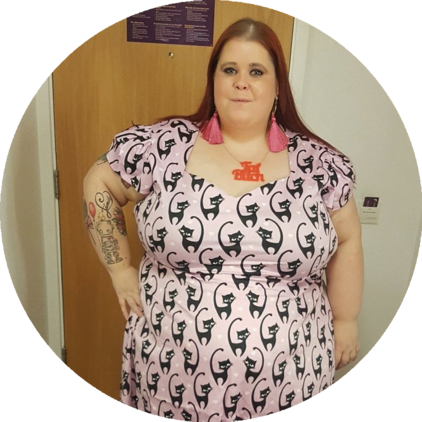 Fat people did not ask her to go on a one woman crusade to 'educate' us into changing our bodies or to sit on TV and tell us that our bodies are incapable of good. Katies TV show is about not making excuses for being fat, but it is people like her that make fat people feel that they need to make excuses for their body. It can be hard living as a fat person in a thin world. It can be even harder to live in a fat body and say "I love by body just how it is and I do not want to change it". Instead people like Katie Hopkins make people feel like we need to excuse our bodies for being how they are - so people turn to health excuses, making sure people know that even though they're fat they eat well or exercise lots, they're fat because of stress or they're going to start a diet next week and lose all the extra weight they now have. The truth is that if you're fat, THAT IS OK! You shouldn't have to feel like you need to reassure people about your life choices or let them know you intend to change it. It is programs like this and the general media pressure to have a small body that make people think that they need to excuse their body - BUT YOU DO NOT!! 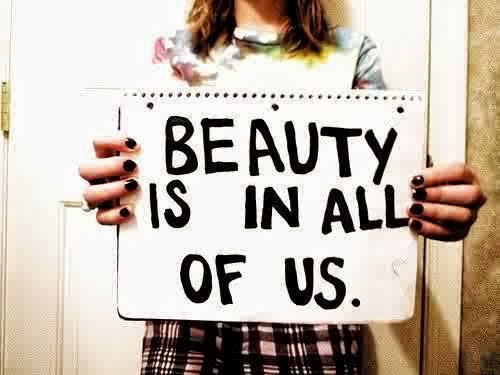 Love the skin you're in and let others know you love it to. It is your body and you do not need to excuse it away! Little Me - What Would You Say? This week while reading some of my favourite blogs, I stumbled across the 'Love EVERY Body' project arranged by the lovely Leah over at http://justmeleah.blogspot.co.uk/. This week I saw people writing letters to their body, what they wanted to thank it for, blame it for, apologise for etc. but most of all what they wanted to love it for. Then my sister published a blog post about her weight loss journey and how it hasn't made her happier. Yes, she is happier in a sense but not in another - weight loss, dieting and self love is a long journey and somewhat of a roller coaster. "If anyone ever tells you being thin or a certain dress size will make you happy then they are lying. However you felt about your body and the insecurities you had before your weight loss will be the same no matter how your outward appearance changes." Over recent weeks, one of my favourite songs has been Little Me, by Little Mix. I love the song, but I also love the message that it presses - that one day, you'll look back and want to tell yourself that everything will be OK.
"Wish I knew back then, What I know now, Wish I could somehow, Go back in time and maybe listen to my own advice. I'd tell her to speak up, tell her to shout out, Talk a bit louder, be a bit prouder, Tell her she's beautiful, wonderful, Everything she doesn't see"
I often get messages asking me how I became so confident, how I can be so happy with the way I look and whether my self-body-love is real! I don't really have the answers - only that Yes, I do like myself and I think you should like yourself! The only real thing I have to say on that is that lots of people think the same as you! There are people out there, who you see as perfect who feel just as unhappy with the shape of their body. YOU ARE NOT ALONE! So, if you could tell your 'little you' anything, what would you say? I would tell my 15 year old self that everything will be OK, I'd tell my 21 year old self that moving up North will be the best decision you ever make and I would tell my 26 year old self that everything happens for a reason. I would tell myself as a teenager that one day you'll love yourself and as a twenty year old, you'll learn to embrace your body and like it!